Historical landmark, the Davao Dencia's Restaurant, that is definitely a food destination you shouldn't miss once you are in town. And if you happened to visit this restaurant, don't forget to try their famous LUGAW and TOKWA'T BABOY. I remember back in the old days, when Dencia's still located at Duterte St.(old location), when my grandfather was still alive, he would take us together with my cousins at Dencia's to have a morning meal with Lugaw and Tokwa't Baboy. And I still do it now with my two daughters. This is just a simple dish and one of their BEST SELLER. 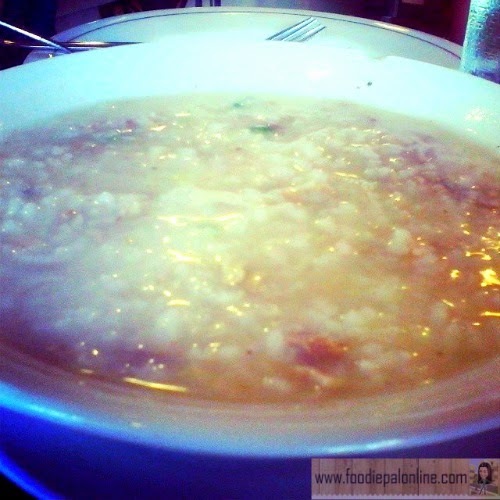 LUGAW or a rice porridge or CONGEE is a well known Chinese recipe, but love by the Filipino. This kind of a recipe has many variation, depends on the type of meat that will be use in cooking. TOKWA'T BABOY this is a delicious Filipino appetizer, a great partner with lugaw. But some people love to eat this as their pulutan or a side dish. 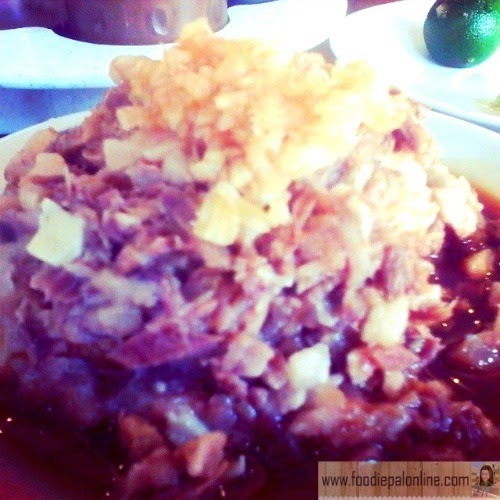 Certified Pinoy comfort food, very affordable and deliver great taste. You have not gone to Davao City if you have not experienced the food here at Davao Dencia's Restaurant. Many restaurants are now rising and building its name here in my town, but this place still one of Davao's best place! Eating too this tokwa't' baboy, but not all the time. When I was just a kid, no-no to lugaw. 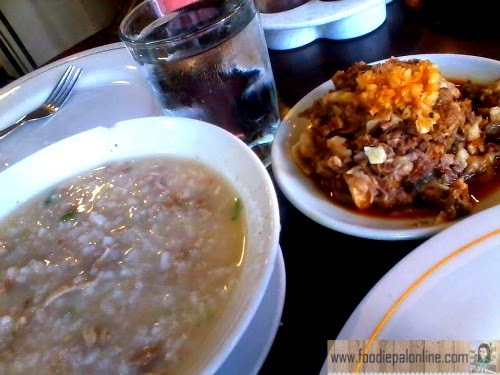 All over the Philippines, lugaw and tokwa't' baboy really rocks. Yey! Thanks for doing a post on this restaurant. I would list it as one of the places I must try when I finally get to go to Davao. At Gen. Luna Street near Apo View Hotel. Yummm. I love this type of food. Especially pag may kalamansi yung lugaw.